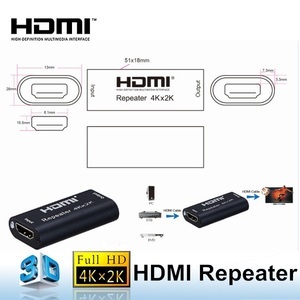 High Quality HDMI Repeater 40m Support 4K/1080P 3D It regenerates the incoming HDMI signal by decoding and re-encoding it to a new standard HDMI signal so it can extend the transmission range without degradation. Q4: If you am not clear about the how to use the products, what should you do9 A4: Each of our products has a manual, you can read it or you may contact with us at any time. ) 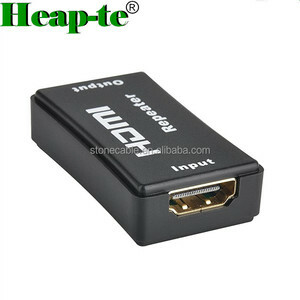 We are a professional manufacturer of HDMI products since 2009 in Shenzhen ,China , and the HDMI adopter and HDCP adopter since 2013 , we have ISO9001 certification. 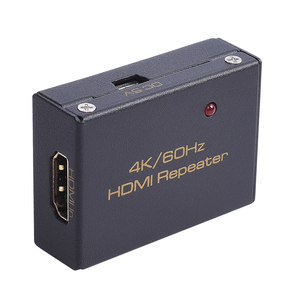 Shenzhen Gao Mai Communications Co., Ltd.
Transmit up to 25m under 4K@60Hz, 30m undet 4K@30Hz 3). 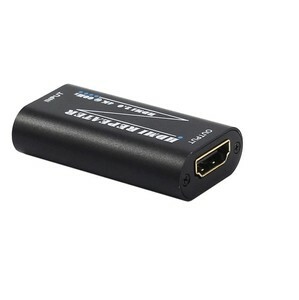 No need outside power supply . 4). 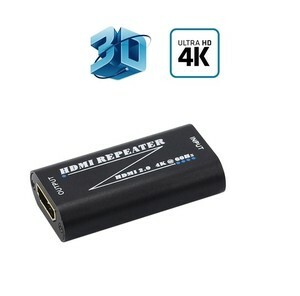 Support 3D video formats 5). 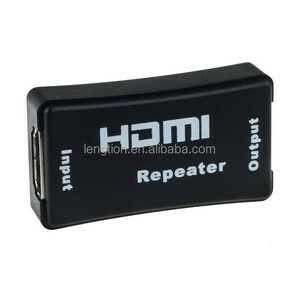 Product name HDMI Repeater Color Black or White OEM Yes Quality High quality Features: The HDMI Repeater enables to boost the HDMI signal via HDMI cable up to 20m at 4K@30Hz. 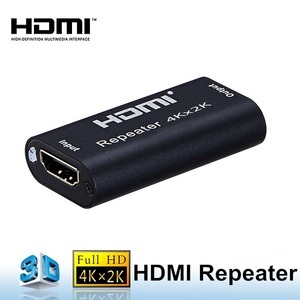 The special design allows the active circuitry to be powered by the HDMITM cable itself that has 5-volts of power running through the HDMITM cable. 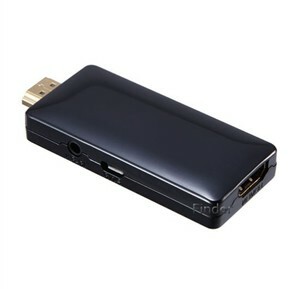 2.0 Specification Signal Input:HDMI Signal HDMI Input /Output Connector: HDMI Type A 19 pin Output Video:HDMI Signal Vertical Frequency Range: 50/60Hz Video. 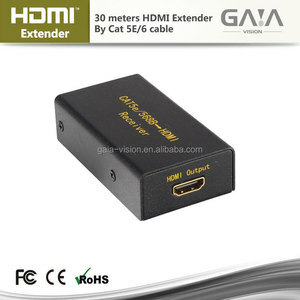 Different kinds of fashion designs ,reliable quality ,simple to use and user fiendly. 3). Can be customized and eco-frendly materials . 4). 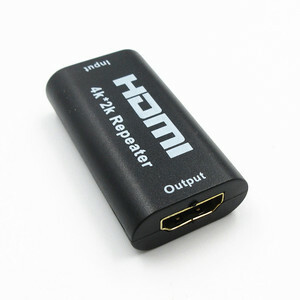 If you are interested in our products ,please feel free to contact us at any time .